It's valentine season and Sweet Zulu Bakeshop is baking up a storm to make your day special. It's time that we break the mold of the same old chocolates and flowers routine and instead give your significant other something they'd remember--a bouquet of cupcakes! 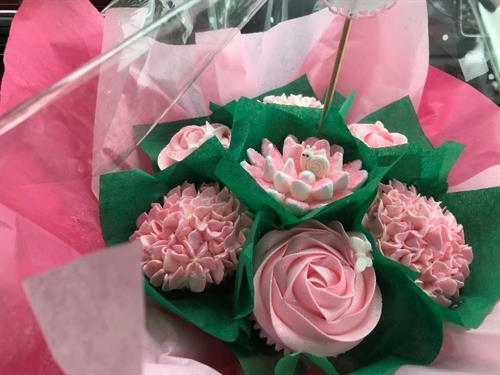 The bouquet is made up of 7 cupcakes and a special treat with each one. All the cupcakes come with our delicious Italian Butter Cream Frosting and a special surprise under each cupcake.